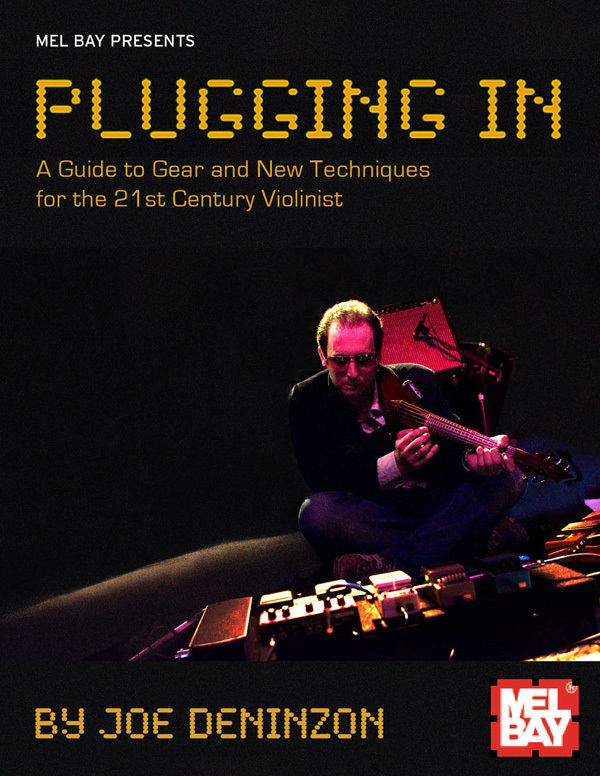 PLUGGING IN: A GUIDE TO GEAR AND NEW TECHNIQUES FOR THE 21ST CENTURY VIOLINIST. 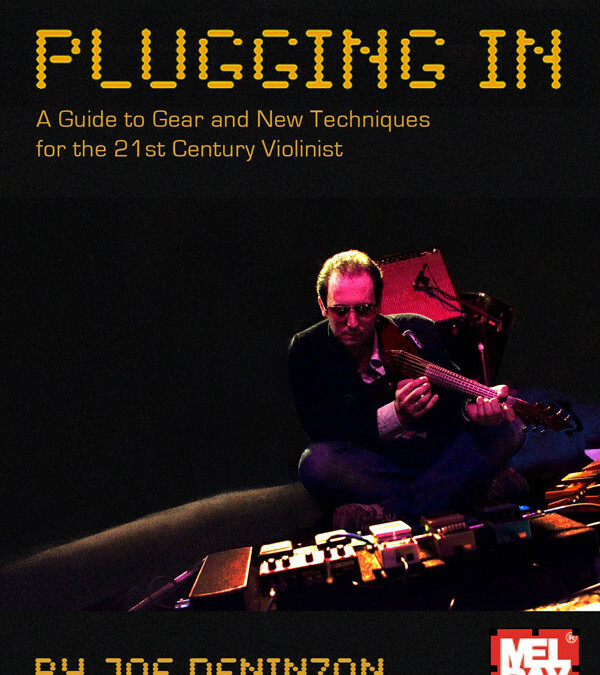 Deninzon, a seven-string electric violin virtuoso, has written a remarkable book, demystifying the technique and technology of the electric violin, Plugging In is intelligently organized, providing necessary information to make music through the electric violin. Deninzon answers many basic questions, e.g. : How do I shop for an electronic violin? What kind of amp should I buy? How do i get this equipment ro work? Deninzon also explores improvisation and specific techniques like “chopping,” “comping,” and using pedal effects. He also includes over sixty different musical examples, a sixty-minute DVD< and seventy-minute CD. Plugging In provides a welcome catalyst towards my goal of joining the twenty-first century. It’s hard to understand why the violin and the guitar went such disparate ways in the 20th century. After all, they are both stringed instruments with long histories in Western classical music and with repertoires filled with works by great composers. Both instruments also play pivotal roles in non-concert music. Yet today when a child says, “I want to play the violin,” that child gets an entirely different education than the one who finishes that sentence with “guitar.” Joe Deninzon brings the process of bringing the violin into the 21st century by making the music and technology of the contemporary electric guitarist available to the curious and willing violinist. Plugging In begins with an ample, informative discussion of the hardware involved-from instruments to amps and pedals-including step-by-step instructions about how to make the equipment sound good and work well. Also included are fantastic etudes for developing new bowing techniques, as well as harmonic and rhythmic concepts for the rock-oriented player. The book translates the language that electric guitar players have been using for years into “violin-ese.” Deninzon’s magnificent playing and technical expertise make it easy to understand. The book also lends legitimacy to the pursuit of rock and funk violin, something that I feel is long overdue. Deninzon makes a point of encouraging violinists to carve out their own roles in the music and bands they love. While violin is not yet an essential instrument in every rock band, with this book around, it won’t be long before that changes.